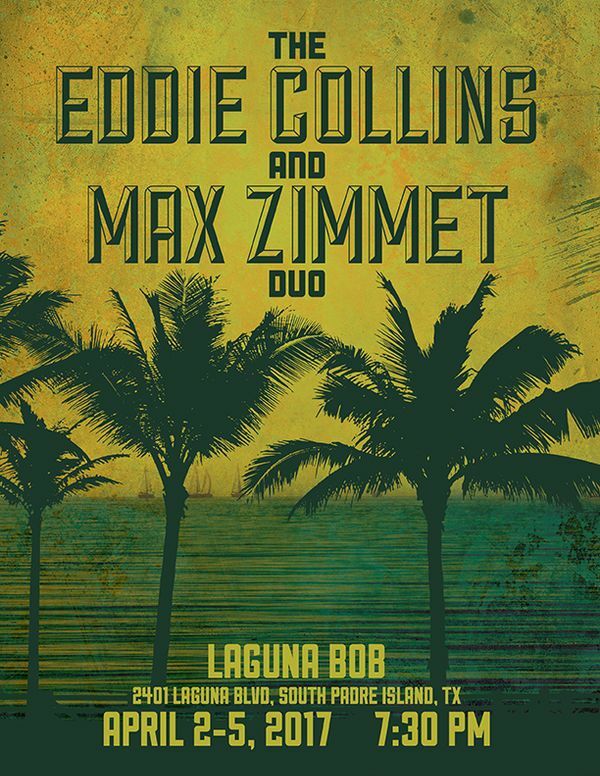 The Austin-based duo of Eddie Collins and Max Zimmet team up on acoustic guitar, mandolin, banjo, and vocals, playing standards and originals in bluegrass, classic country, old time rock n' roll, Texas Country, Americana and Western Swing. We play corporate events, weddings, festivals, house concerts, private events, and clubs. If you're looking for energetic roots music in a small, listenable and entertaining package, contact us today. Let us know if you’d like us to add upright bass or fiddle for a trio configuration. The seeds for the duo were planted in 1997. Max was 10 years old. He heard Bill Monroe on Austin City Limits, loved it, and his family started going to hear bluegrass at Artz Rib house in Austin, Texas. Max would tape Eddie Collins’s band, and listen to it for hours, and soon was taking lessons from Eddie. He started playing out a bit and got to do some shows with Eddie and other area pickers. Max returned to Austin after earning a degree at the Berklee College of Music in Boston (with majors in guitar and mandolin performance) and began several projects, including Hot Pickin 57s, One Eye Open, and a duo with Eddie. Max placed 3rd in the 2017 and 2018 Texas Flatpicking Guitar Championship. Eddie is a long-time staple of the Austin music scene, having performed with many of the area’s top acoustic groups. In addition to appearing on and producing recording projects for others, he has nine solo CDs, which include many original tunes. He has published over thirty instructional works and writes for national music publications.